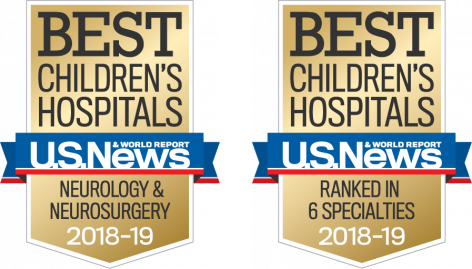 The pediatric neurosurgery team offers children the latest and most advanced options for treating hydrocephalus. Our hydrocephalus surgery program is committed to providing state-of-the-art care to improve the quality of life of our patients. We strive to alleviate worry and suffering and provide outstanding care for children of all ages. Hydrocephalus is traditionally treated by implanting a ventricular shunt system, a plastic tube that drains cerebrospinal fluid, or CSF, from the brain to another location in the body where it can be absorbed (usually the peritoneal cavity). More than a million people in the United States have a shunt, and it is the most common operation for the treatment of hydrocephalus. For the smallest premature infants in the Neonatal ICU, our neurosurgeons will sometimes use a temporary shunt to help drain the CSF, a step designed to allow the child to grow before more permanent hydrocephalus treatment can begin. Because shunts can clog or malfunction over time, neurosurgeons attempt to treat hydrocephalus without a shunt when possible. Depending on the location of the CSF blockage, some patients may be candidates for an endoscopic third ventriculostomy or ETV. During ETV, one of our neurosurgeons will create an opening in the third ventricular floor to allow CSF to pass from the inside to the outside of the brain, bypassing the blockage. If the ETV successfully treats the hydrocephalus for six months, it is likely to treat it in the long term and the child does not require a shunt. Historically, ETV has been largely unsuccessful in infants less than 1-year-old, possibly due to immature CSF absorption pathways. For these patients, we sometimes recommend combining ETV with a technique called choroid plexus cauterization, or CPC, to reduce CSF production. 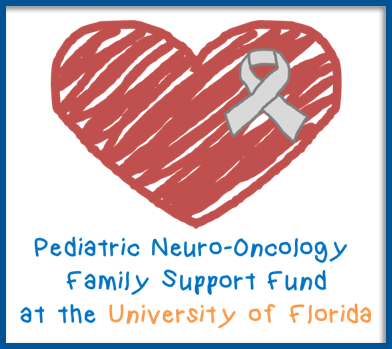 UF Health Shands Children’s Hospital is the only hospital in Florida and among only a handful of children’s hospitals in the nation that offers ETV-CPC using the method pioneered by Benjamin Warf, MD, at Boston Children’s Hospital. During the ETV-CPC procedure, after the ETV component, one of our neurosurgeons will endoscopically cauterize much of the choroid plexus, the tissue that produces CSF. Candidates for the procedure are under 1 year of age and have hydrocephalus caused by a blockage in the cerebral aqueduct, the fourth ventricle or the fourth ventricular outflow (without additional blockages), as determined by a high-resolution MRI.This includes a portion of patients with hydrocephalus from intraventricular hemorrhage, CSF infection, congenital aqueductal stenosis and myelomeningocele. During the procedure, Dr. Governale or Dr. Blatt will reduce CSF production and bypass the blockage(s). In eligible patients, ETV-CPC can have a 50 to 70 percent success rate in preventing the need for shunt placement. If the ETV-CPC procedure treats the hydrocephalus successfully for six months, it is likely to treat it in the long term. If the hydrocephalus returns, the child may need a shunt placed.